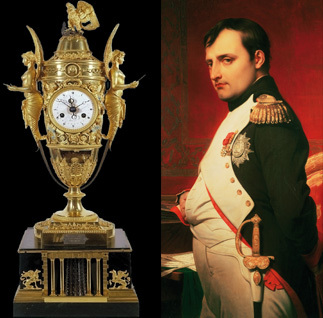 Louis Moinet Napoleon Clock was made in 1806. It features an 8 Day power reserve movement, and displays the hours, minutes, and date. ARCHIVE ONLY, THIS CLOCK IS NOT FOR SALE.